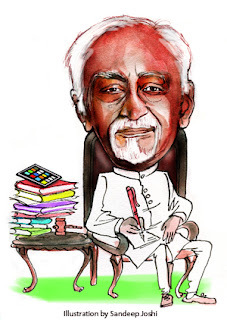 Born to Mohammad Abdul Aziz Ansari and Aasiya Begum on April 1, 1937, in Kolkata, Mr Ansari grew up in a family which had the Congress in its blood. He is the grand-nephew of Dr Mukhtar Ahmad Ansari, who was one of the freedom fighters and the Congress President in 1927 (Madras Session). Though his ancestral home is in Ghazipur, Uttar Pradesh, Mr Ansari spent his early life in Kolkata. 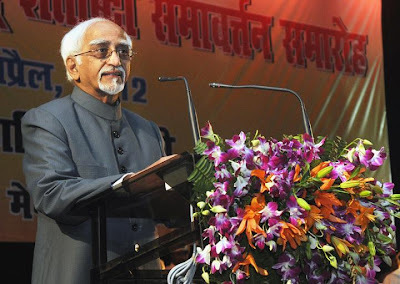 After completing a Masters in Political Science, Mr Ansari earned a double doctorate from Shimla's St Edwards School and Kolkata's St Xavier's College. 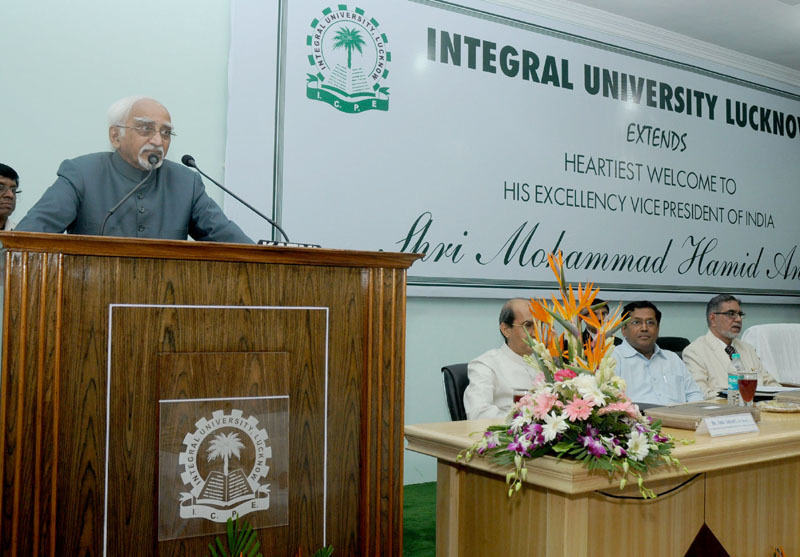 He then pursued a PhD at the Aligarh Muslim University, where he later also served as Vice Chancellor. 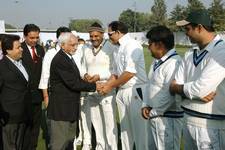 Even in his pursuit of three doctoral degrees, Mr Ansari had time for play - he played cricket on his college team. 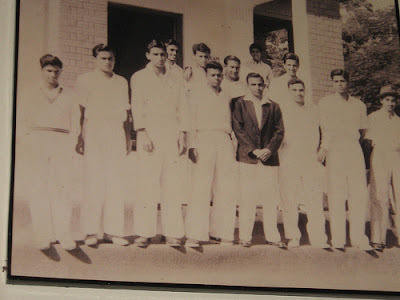 He was was the wicketkeeper. 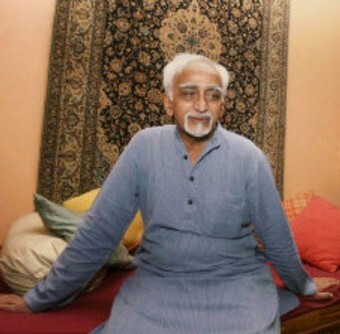 In his later years and now, he is known as an avid golfer and can be seen playing at the Delhi Golf Club on a holiday. Father's Name: Mohammad Abdul Aziz Ansari,a freedom fighter , who was born in Yusufpur Muhammadabad ,Ghazipur District U.P. 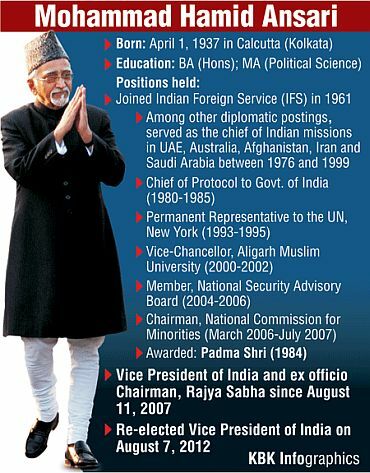 Vice President of India and ex officio Chairman, Rajya Sabha since 11th August 2007. 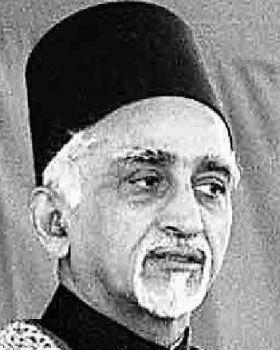 Mohammad Hamid Ansari (born 1 April 1937 in Kolkata) is the 14th and current Vice President of India. 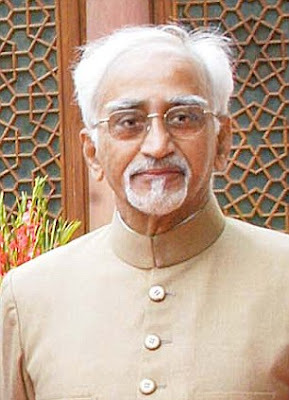 After Dr. Sarvpalli Radhakrishnan,Hamid Ansari is the only person two get elected for the post of Vice President of India at two consecutive terms. He also presently serves as President of the Indian Institute of Public Administration and Chancellor of Panjab University, Chandigarh. 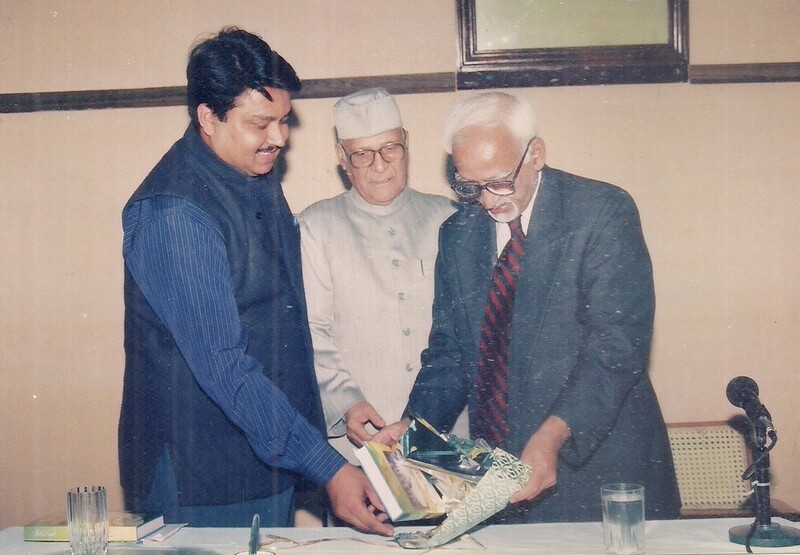 Ansari worked as Vice-Chancellor of the Aligarh Muslim University from 2000 to 2002. and was a Visiting Professor at the Centre for West Asian and African Studies in Jawaharlal Nehru University and at the Academy for Third World Studies in Jamia Millia Islamia.Later he was Chairman of the National Commission for Minorities from 2006 to 2007. He was elected as Vice President of India on 10 August 2007 and took office on 11 August 2007. He was re-elected on 7 August 2012 and was Sworn-in by Shri Pranab Mukherjee, the President of India. 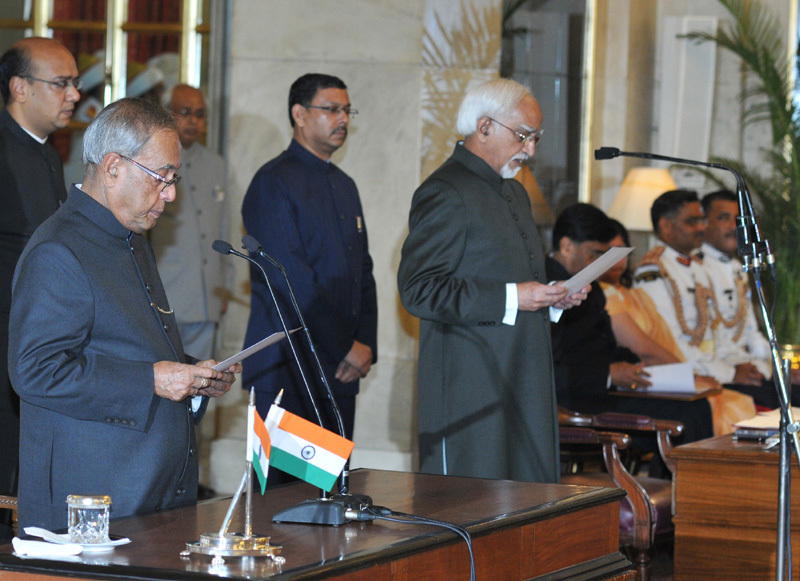 The oath taking ceremony was conducted at Rashtrapati Bhavan on August 11, 2012. 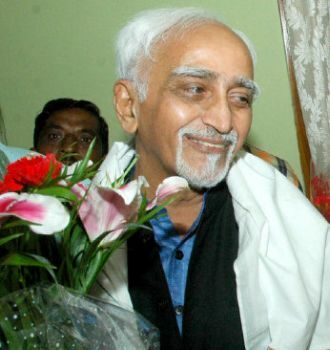 Ansari was born in Calcutta (now Kolkata), West Bengal, India on 1 April 1937 though his family belongs to Ghazipur in Uttar Pradesh.. Ansari studied at Shimla's St. Edwards High School, the St. Xavier's College of the University of Calcutta and pursued M.A. 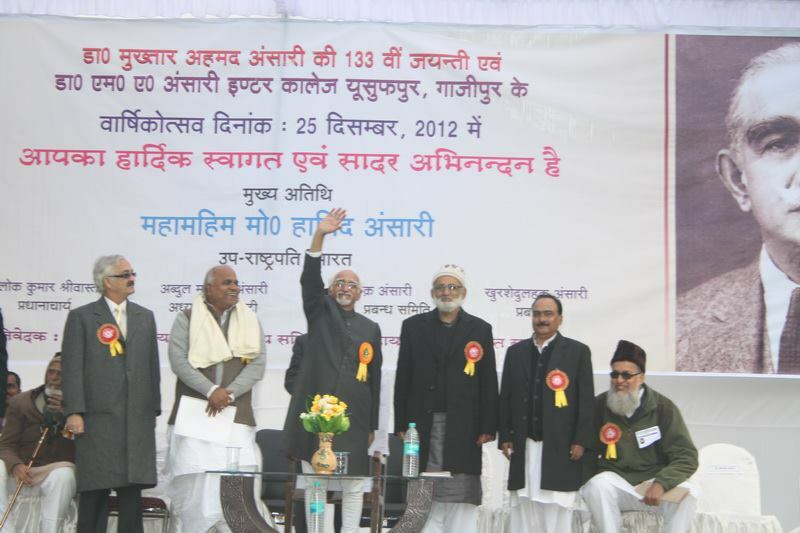 Political Science at the Aligarh Muslim University. He started his career as a civil servant in the Indian Foreign Service in 1961. He was Permanent Representative of India to the United Nations, Indian High Commissioner to Australia and Ambassador to the United Arab Emirates, Afghanistan, Iran and Saudi Arabia. 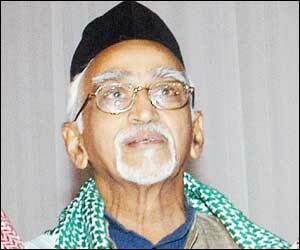 He was awarded the Padma Shree in 1984. He was also the Vice-Chancellor of the Aligarh Muslim University from May 2000 to March 2002. 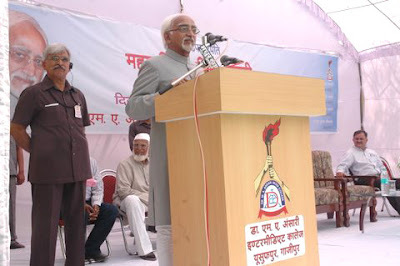 He is known for his role in ensuring compensation to the victims of the Gujarat riots and pushing for a complete re-look into the relief and rehabilitation for riot victims since 1984. 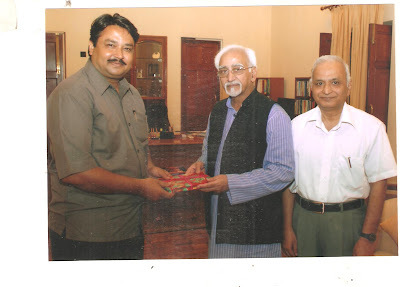 Scholar-diplomat-writer, Mohammad Hamid Ansari, brings with him a wealth of experience, having handled an impressive range of assignments in a career spanning over 45 years. The United Progressive Alliance-Left’s Vice-Presidential candidate has a deep interest in West Asian affairs. 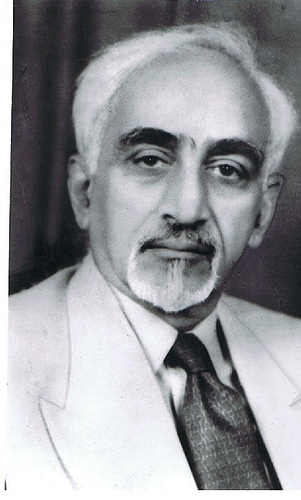 Ansari is a West Asia scholar and has written on the Palestinian issue and taken positions inconvenient to the Indian official line on Iraq and he also edited the book, Iran Today: Twenty Five Years After the Islamic Revolution. ISBN 81-291-0774-0). He questioned India’s vote in the International Atomic Energy Agency on Iran’s nuclear programme where India voted against Iran. 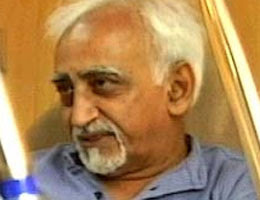 He said that though the Indian Government claimed to have acted on "its own judgment," this was not borne out by facts. 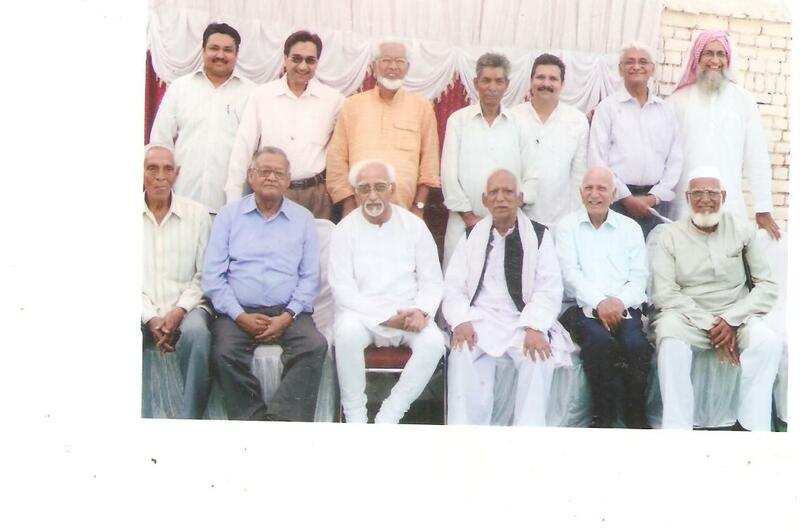 Ansari was the chairman of a working group on "Confidence building measures across segments of society in the State," established by the Second round Table Conference of the Prime Minister on Jammu and Kashmir in 2006. The report of the working group was adopted by the Third round Table in April 2007. Among other things, the report advocates recognising the right of Kashmiri Pandits to return to “places of their original residence.” This right, it argued, should be recognised without any ambiguity and made a part of state policy. 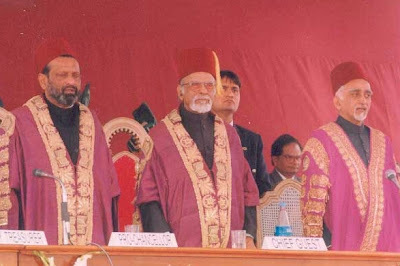 Ansari became the chairman of India's National Commission for Minorities (NCM) on 6 March 2006, upheld the decision of India's premier educational institution, St. Stephens College, to earmark a small percentage of seats for Dalit Christians. Ansari resigned as NCM chairman soon after his nomination for the post of India's Vice President. Before that he was co-chairman of the India-U.K. Round Table, a member of the National Security Advisory Board and convener (and later chairman) of the Petroleum Ministry’s advisory committee on Oil Diplomacy for Energy Security. He was chairman of the working group on “Confidence building measures across segments of society in the State,” established by the Second Round Table Conference of the Prime Minister on Jammu and Kashmir in 2006. The report of the working group was adopted by the Third Round Table in April 2007. Among other things, the report advocates recognising the right of Kashmiri Pandits to return to “places of their original residence.” This right, it argued, should be recognised without any ambiguity and made a part of state policy. 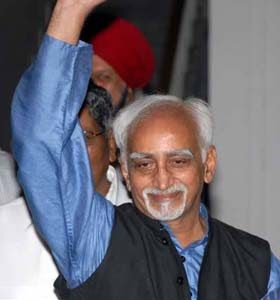 On 20 July 2007, Ansari was named by the UPA-Left, the ruling coalition in India, as its candidate for the post of Vice President .Ansari secured 455 votes, and won the election by a margin of 233 votes against his nearest rival Najma Heptullah. The NDA nominated Jaswant Singh, former Finance, External Affairs and Defence minister as well as former Leader of Opposition..
Hamid Ansari was reelected as Vice President for the second term on 7 August 2012, defeating the NDA's nominee Jaswant Singh by a margin of 252 votes. For the first time, both the President (Pranab Mukherjee) and the vice President (Incumbent) were born in West Bengal. 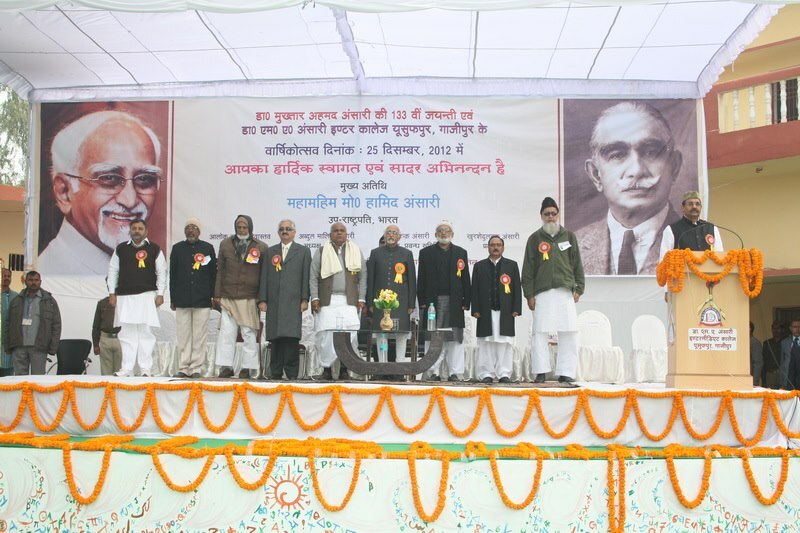 Address by Hon’ble Vice President of India, Shri M. Hamid Ansari at the inauguration function of the Professor K.A. Nizami Centre for Quranic Studies, Aligarh Muslim University, Aligarh on September 24, 2012. Each required hard work, a open mind and the attainment of excellence. 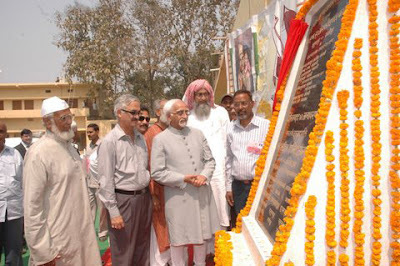 Aligarh contributed to it in good measure but could have done more. Where does the Palestinian cause stand? Mr. Ansari wrote trenchantly on the Palestinian issue and took positions inconvenient to the Indian official line on Iraq and Iran. In a Leader Page article, “Alternative approaches to West Asian crises” (The Hindu, May 5, 2006), he brought out the need for simultaneous progress on Palestine, Iraq and Iran. In an earlier article, “Et EU, India,” (Outlook, October 10, 2005), he questioned India’s vote in the International Atomic Energ y Agency on Iran’s nuclear programme. 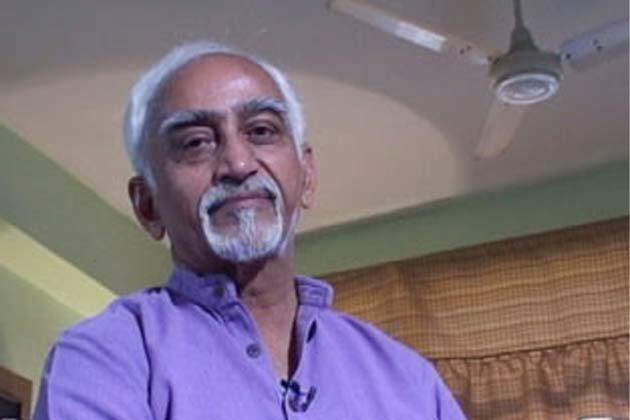 He said that though the Indian Government claimed to have acted on “its own judgment,” this was not borne out by facts. The difficulty lies in the unilateralist, rejectionist, approach of Israel and in the neocon ambition of reshaping West Asia. However, notwithstanding internecine conflict, the Palestinians will survive; so will their quest for statehood. At the other end of the spectrum, according to a report in The New York Times of June 16, “Israel and the United States seem agreed on a policy to treat [the two Palestinian territories] as separate entities, to support Fatah in the West Bank and squeeze Hamas in the Gaza Strip” in an effort to make the former “the shining model of a new Palestine.” U.S. and Israeli pronouncements and actions lend credence to this perception. The Palestine story, since 1948, is well known. The 1967 war resulted in the occupation of the West Bank and the Gaza Strip. Security Council resolution 242 was based on the inadmissibility of acquisition of territory by war. The Intifada of 1987 focussed attention on the plight of the Palestinians in the occupied territories; the outside world ceased treating the Palestinians as ‘refugees’ and conceded the status of a ‘people’. Oslo raised hopes that were not realised. A second Intifada added a sense of urgency, but only temporarily. In June 2002, President George W. Bush outlined his vision of two states living side by side in peace and security. Details of implementation were spelt out in the still-born Quartet Plan. Israel reacted to each of these through a calibrated policy of procrastination, on the one hand, and changing the ground reality, on the other. An attendant requirement was for the Palestinians to reshape themselves. Yasser Arafat was made to pay for his refusal to sign on the dotted line. In December 2002, Secretary of State Colin Powell described his leadership as “flawed” and declared America’s preference for “new leaders” even if Arafat won the elections. The net impact of these moves was summed up in a report by the International Crisis Group: (a) Hamas survived but failed to govern since it received no cooperation from the Fatah-aligned civil service and security forces; (b) the impact of the economic crisis was acutely felt in every section of Palestinian society with two-third of Palestinians living in poverty, a rise of 30 per cent in one year; (c) Fatah, “obsessed with recovering power,” did nothing to reform its ways and restore its popular credibility; (d) sanctions did not achieve their objective; (e) Washington “promised security and economic aid to encourage Fatah to confront Hamas and help defeat it”; and (f) the western commitment to democracy in the region was discredited. The framework, credible in itself, left much to be negotiated in terms of details; above all, it required a commitment to do so. 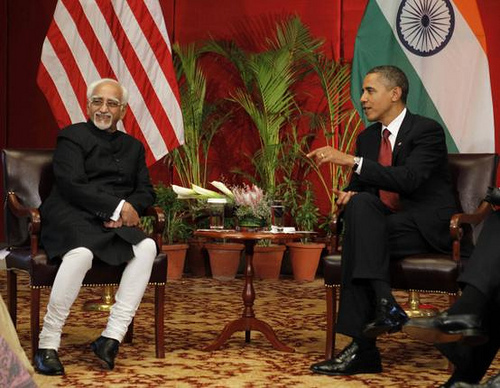 Given the ill will on both sides, the success of the agreement depended on international support. This was not forthcoming because the United States, Israel, and the EU set conditions of compliance that would have amounted to surrender by a political group on the morrow of its undisputed electoral success. The Western rejection of Hamas is premised on the latter’s ‘ideology.’ The Israeli-American demand (endorsed by the Quartet in its statement of January 26, 2006) is threefold: Hamas should disown the use of force, recognise Israel’s right to exist, and disarm. Negotiating experience with liberation movements the world over shows that a transition of this nature is the product of a political process, of negotiations, and cannot precede it. Senior American negotiators like Dennis Ross concede that “neither side can impose an outcome on the other” and that the two sides “must recognise that their fate is intertwined.” If so, practical and innovative approaches, based on resolution 242 and the Arab peace initiative, need to be explored. The Taba document of January 2001 and the unofficial Geneva accord of October 2003 are good examples of what focussed discussion can achieve. What then is the difficulty? It lies in the unilateralist, rejectionist, approach of Israel and in the neocon ambition of reshaping West Asia. The former has made no headway despite 40 years of occupation because, as Rousseau said, the strongest man is never strong enough to be always master; as for the latter, it lies buried in the blood-soaked sands of Iraq. Two independent quarters have shed light on the impact of distorted perceptions. The first is the End of Mission Report in May 2007 by Alvaro de Soto, UNSG’s Special Coordinator for Middle East Peace Process; the second is an address on July 3 by Gareth Evans, President of the International Crisis Group, to the Socialist group in the European Parliament. Mr. De Soto cautions against the effort by the U.S. to beef up the capability of the Fatah segment of Palestinian forces to deal with inter-factional strife. His prediction that this could be “a self-fulfilling prophecy” has come true. He considers Hamas deep-rooted but is less sanguine about Fatah who “seem to have lost their compass long before their rout in the January 2006 elections.” He reports that with the decline in the negotiating capacity on both sides, support for the so-called ‘one State solution’ is gaining ground in some quarters. On the latter point, Foreign Minister Tzipi Livni has expressed her concern this week over “the process of delegitimization of Israel as a Jewish state.” Others too have drawn attention to the element of doubt that has replaced Israeli certitude. Mr. Evans draws attention to three missed opportunities: the failure to recognise the significance of the Arab Peace Initiative, the failure to support Abu Mazen in 2005 after his landslide victory, and the failure to comprehend the impracticality of incremental and sequential solutions. He dilates on Western double standards of “setting the bar higher for the Palestinians than the Israelis” and gives six specific examples which have played into the hands of the extremists. Where do options lie? The support base of Hamas is a fact. Its core membership constitutes 20 per cent of the electorate; its actual vote share was 43 per cent. The authenticity of the electoral process has not been questioned. Fatah has to reckon with this and not seek ways of undoing it through external pressure. Hamas has to concede (and has in fact conceded) that Israel within pre-1967 war borders is an international reality. As for the Western world, mired in eight decades of deceit and duplicity, a mere acknowledgement of the six sins enumerated by Gareth Evans would mark the beginning of a just approach to the Palestinian question. It can use its collective weight to make the Arab Initiative the engine of a new effort to seek comprehensive peace. Where then does the Palestinian cause stand? A people do not cease to exist even if subjected to genocide and holocaust. Notwithstanding internecine conflict, the Palestinians will survive; so will their quest for statehood and their struggle to end the occupation. As for ideologies and doctrines, they are induced by circumstances and undergo adjustment and change accordingly; they do not respond to diktat.